Il ASPEN Riverhouse è situato nel cuore della valle Roaring Fork e conveniente per Aspen e Snowmass. Questa casa confortevole a prezzi accessibili, orientato alla famiglia su due, soleggiato, acri sul fiume privati, vanta panorami di montagna e l'accesso lungofiume diretto. Prato ricco di percorso del fiume che balbetta-tutto l'anno! Solo dieci minuti per Snowmass, Buttermilk, Highlands e Aspen stazioni sciistiche e 3 miglia a Aeroporto di Aspen (servito dalle principali compagnie aeree). Siete anche a breve distanza a White River National Forest per escursioni in montagna, mountain bike, passeggiate a cavallo, e quattro percorsi wheeling. Si può pescare tutto l'anno appena fuori dalla porta posteriore sul fiume Roaring Fork, trota torrente un 'Medaglia d'oro'. Godetevi rafting dal vostro cortile o semplicemente rilassarsi in riva al fiume. Una vasca idromassaggio per otto persone sulla terrazza si affaccia sul fiume e offre anche viste sulle montagne e sul fiume. Un appartato lungo il fiume veranda protetta separata con amaca e dondolo funge anche da zona di meditazione rilassante. La casa dispone anche di un grande camino in pietra naturale con zona conversazione affondata, posti a sedere per un massimo di dieci, lucernari che illuminano la cucina completa, che comprende gli utensili e tutti gli elettrodomestici, soffitti a volta in tutto, camino a gas in camera da letto. Sono forniti lenzuola e asciugamani. Il livello inferiore comprende una sala ricreativa con biliardo, home theatre con Apple TV e wet bar / frigorifero adiacente a 2BR, 2Bath. Custodi offsite esperti forniscono spalare la neve, manutenzione di emergenza, cura vasca con acqua calda, ecc Riverhouse ha un bel terreno, una strada asfaltata e un parcheggio privato in loco. Si trova a un isolato in discesa dalla rotta della navetta che serve Aspen e tutte le aree sciistiche. Tranquillo e tranquillo ma a pochi minuti da negozi, ristoranti e locali notturni di incomparabile Aspen. Nice, 6 bedroom ski house, within 15 minutes of all 4 Aspen ski areas. Plenty of room spread across 3 floors so no one felt crowded. Enjoyed the hot tub and pool table. Nice, well-stocked kitchen. Owner was easy to work with and was able to quickly get corrected an issue with the hot tub. Would definitely stay there again. We are a group of guys that get together for our annual ski trip to various destinations. For 2019, the destination was Aspen & we booked our stay at the Riverhouse. This rustic, comfortable & charming home was everything we imagined & more. We took a walk to the which was very scenic & serene. I can only imagine the fabulous home during the summertime & I will try visit in summer.Bill P. thanks for making this home available during our stay, you are very understanding & it was a pleasure to deal with you. Howard L. & The Northeast Ski Group. Beautiful home and great location. Plenty of room for all with 6 bedrooms. We spent five wonderful days here for a family and friends ski vacation. Very accommodating helpful owners and beautiful property. 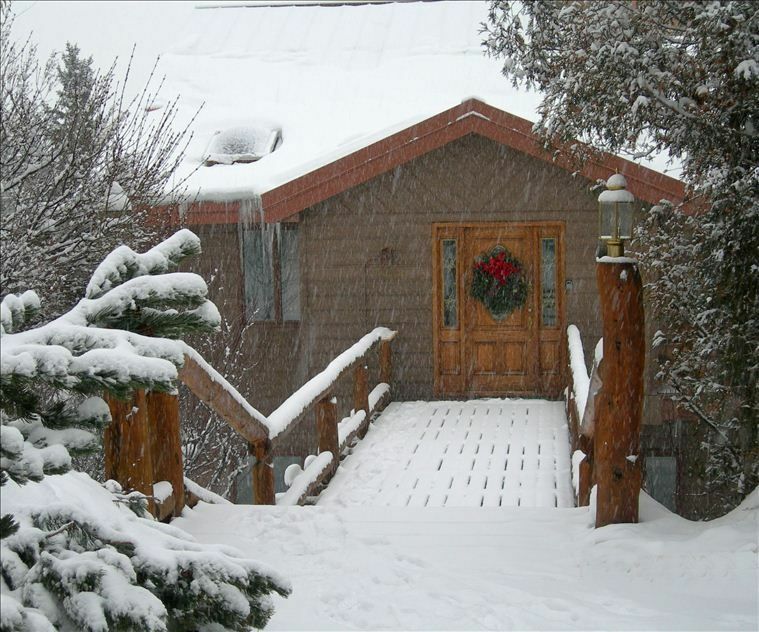 Located right on the Roaring Fork River and only several minutes from the Snowmass acess road. Plenty of space with six bedrooms and multiple floors allowed everyone to spread out and never felt crowded. Large hot tub and game room provided perfect apres ski time. Would definitely stay here again. Outstanding, elegant home in perfect condition. Wonderful home, great location, beautiful view. On the river, convenient to Aspen, Basalt and the airport. This home was outstanding and extremely beautiful surroundings. We had such a nice warm feeling with your lovely home in Aspen,Co., the family enjoyed all the things to do in the area except fishing, as the water level was low. They all agreed to do this again next year. The house was perfect. Thank you again . The Mitchell family. Thank you Arlene Mitchell Family. We are pleased that you and your family enjoyed your stay at our Riverhouse and explored so many of the wonderful activities nearby. While we are hearing some good fishing reports this year, you can expect outstanding fishing when you return next summer and the river is at normal levels. We had a wonderful time! My only disappointment was the picture didn’t show the very steep incline to the wonderful Gazebo and fire pit near the river. I just (at 81) couldn’t make the trip down and back. The family did ,however ,and had a great time. Campfires and S’mores were very much enjoyed. I highly recommend this home! Di classe mondiale di sci, ristoranti, di fama internazionale Aspen Wine & Food Festival, Summer Music Festival, Jazz Aspen / Snowmass, Winter X-Games. *Weekly rates are lower than published daily rates. *Off-season rates significantly lower. *Minimum 5 nights during High-season, 4 nights during Off-season. *Ask about discount for more than one week. *Rate and availability subject to change until reservation is confirmed.